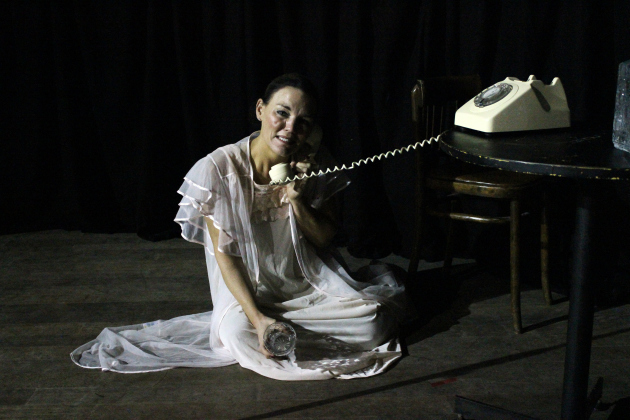 The weekend lunchtime theatre programme at The Shed in Glasgow is fast becoming home to some little theatrical gems. 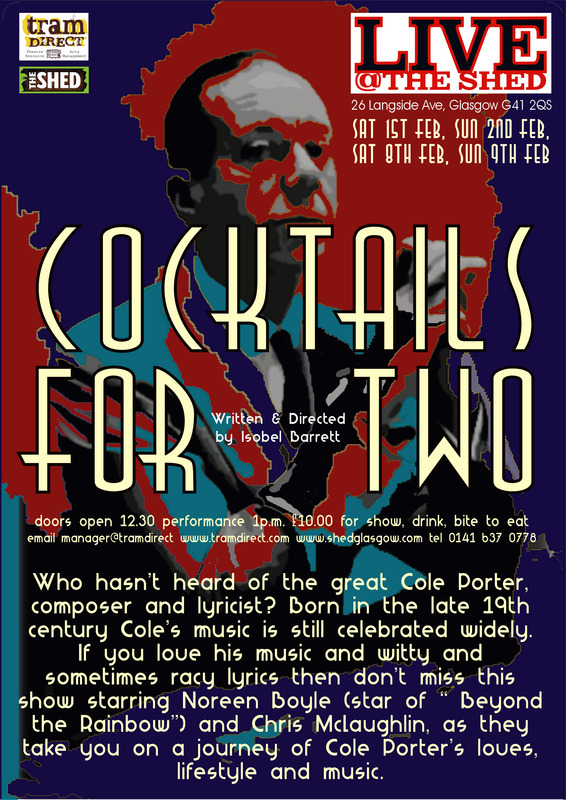 Following the success of Beyond the Rainbow and also from the pen of Isobel Barrett, comes Cocktails for Two a biographical cabaret of the life, loves and work of the acclaimed composer. Witty, erudite and wonderful, who could fail to be entertained by the sublime show tunes of Porter: “I Get a Kick Out of You”, “You do Something to Me”, “Anything Goes” and “Night and Day” to name a few, only begin to scratch the surface of the vast back catalogue of hits. This show is an edited highlights programme of the most famous and emotive numbers. The two performers Noreen Boyle, fresh from her success as Judy Garland and Chris McLaughlin, add life and vitality to the songs, in particular McLaughlin’s pitch-perfect comic delivery of “Blow Gabriel Blow” and heart-rending rendition of “So in Love”. Boyle’s evocative voice also conjurs up the era perfectly especially in “In the Still of the Night” and “Night and Day”. The pair entertainingly interlace the songs with an informative and entertaining biography of the colourful Porter. The show also runs this weekend Saturday and Sunday. Doors 12pm for a 1pm show. Each ticket includes a drink and a bite to eat. Tickets available from: manager@tramdirect / Tel: 0141 637 0778 or on the door.